Spring is coming and after a cold winter, your skin got a hard time. Cold, wind and the natural aging effect due to nasty things like free-radicals. Now it is time to take care of your skin, so that you will be beautiful during this season. Here is a short selection of the best Anti-Aging skincare for women in the luxury market. Some of these are purely small wonders. Follow the guide (by Brand Alphabetical order). With its immediate firming action, day after day, the Clarins Multi-Régénerante Jour cream is perfect for all skin types. By keeping the elasticity of the skin, your rinkles will look smaller, almost disappear. The texture as well as the fragrance is very comfortable and suits perfectly your make up and perfume. They also have a Night version, more rich that works in depth while you are asleep. This cream is a piece of modern cosmetic. Its deep action in the heart of the skin to intensely correct all visible signs of the specific time for dry skin – wrinkles, loss of firmness, flexibility and bounce. Enriched with an exclusive”Floral Cold Cream”, its soft texture, creamy and comforting fills the skin of infinite richness and sweetness envelope for immediate and lasting comfort to each application. 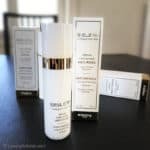 Capture Totale is a true daily luxury experience capturing all the anti-aging secrets. 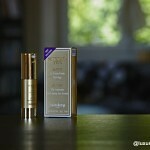 Revitalizing Supreme is the first Global anti-aging by Estée Lauder. Multi-functional, its high performance is due to the IntuiGen™ technology. It fights wrinkles, lack of shininess and dehydration. They ran several clinical tests to prove the results. According to these, 92% of women had their skin improved in less than 4 weeks. Less wrinkles, a better density and the shine of a healthy skin. An anti-aging cream with a very original claim: Wrinkle-Resist 24. A moisturizing day care, anti-aging product that helps protect against damage caused by environmental factors responsible for skin aging as UV rays. The appearance of fine lines and wrinkles are visibly reduced. The optimum hydration of the skin is maintained throughout the day, including in a very dry environment. There is a SPF 15, which is sufficient for a normal daily use. This product is by far the most global day care for women you can find. Sisley offers what nature and science can offer at its best. Expert on the blend of Vegetal extracts and essential oils, here the french brand proposes a revitalizing treatment. Its anti-aging formula provides the skin with essential nutriments to improve its tone and elasticity, regenerate and protect against attacks such as stress and pollution. It is our Editor’s Choice as it has all the qualities of a luxury treatment for a daily base. Sunflower oil rich in Vitamin F, the Phytosqualane from Olive oil and the Vegetal Glucolipid are the main actives that make this formula as one of the most efficient in the market. Here I must say, we are reaching the summits. Not only because of the incredible high price, but on the formula itself. Valmont is known for their high technology made in Switzerland. Here with the L’Elixir des Glaciers Votre Visage, we have a day treatment with a Triple DNA. It reinforces the cellular renewal. This treatment has the most peculiar actives like 20% of Glacial Spring water, pure Plant extracts coming from the photo-alpine garden and finally RNA (a natural cellular activator). We should also note the vitamins A, B1, B2, C and D + the Rosa Moschata extract that balances the metabolism. Flowers are blooming and you should give your skin a break with the appropriate treatment. Here are some of the best products currently in the market. New launches are coming in 2013 that will increase the anti-aging offer. Info sourced at the brands websites. All content is copyrighted with no reproduction rights available. Sisleÿa By Sisley 2019 New launches, Fighting Epigenetic!